In 1944, these graves in the forests were reopened, bodies were burned and burned bones were crushed like in Chełmno. It were made by most probably "Wetterkommando Legath" - code name special group organized by Gestapo from Inowrocław (Hohensalza) which were working in this area. 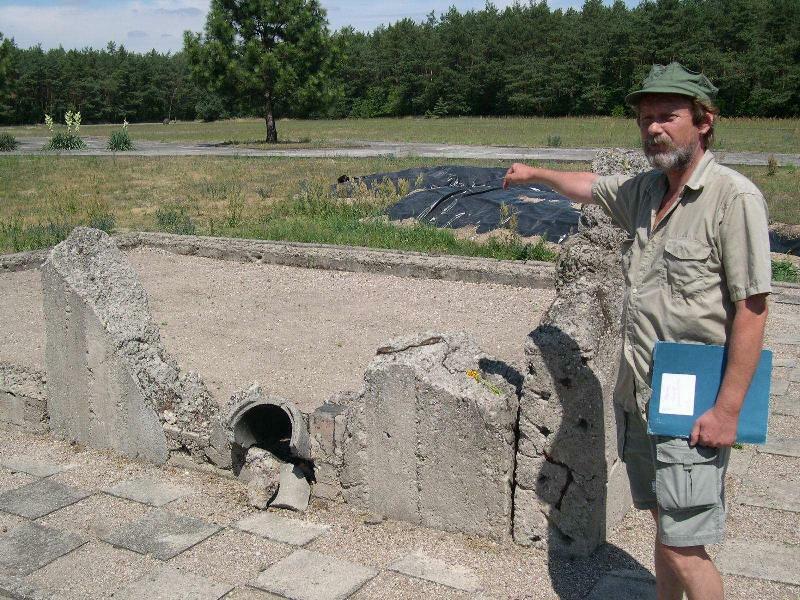 That was a part of "Aktion 1005" - destroying all traces of all mass graves. How many people were murdered exactly in these forests - we don't know. 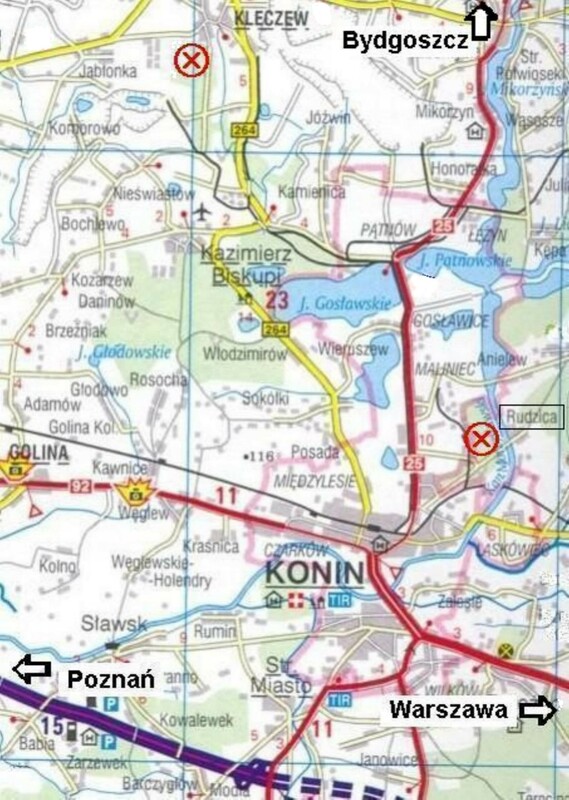 Many Jews from the Konin district were resettled in the years 1939-1941 to "Generalgouvernement" and later died in extermination camps in this area. In rural ghettos mentioned in this list stayed in 1941 about 4.000-5.000 people. Some of them were sent to forced labor camps. In the mass executions in the forests were murdered about 1.500-2.000 people in each pit. Those were the first victims of the Holocaust in "Warthegau". Executioners were from "SS-Sonderkommando Lange" organized by SS-Obersturmführer Herbert Lange from the Gestapo in Poznań. This same special unit, a month later, organized extermination center in Chełmno. A Polish veterinary doctor, resident of the area, Dr. Mieczysław Sękiewicz, testified for the first time in front of a juridical Polish Committee on 27 October 1945 and again in June 1968 for the Polish Committee Investigating the Nazi Crimes in Poznań. Here are some parts of his testimony. Around the glade, except in the side of the junction of the two paths of the wood, stood or sat Jews… I cannot describe their number, because they stood among the trees. In the mass were women, men and children, mothers with babies in their arms. I cannot tell if they were from Poland only. It was later said that they were from Zagórów. I noticed among them one tailor and one shopkeeper from Konin, but I do not remember their names anymore. On the paths, in the glade and around the forest, walked many Gestapo men. Except us who were brought from Konin, there were around 30 other Poles. In the bottom of the bigger pit I saw a layer of unslaked lime. I do not know the thickness of that layer of lime. In the bottom of the smaller pit there was no lime. The Gestapo men warned us that the wood is surrounded and kept by them tightly so each one who will dare to escape will get a bullet in his head. In certain moment they ordered the Jews to stop getting naked because the pit was already full. Only on top we could see the heads of the victims strongly tight to each other. Those Jews who were named already were thrown by the Gestapo men to the pit, on top of the heads of the Jews tight together. All the time were forced to sort out and collect the clothes which were thrown away, shoes, food packages, blankets etc. 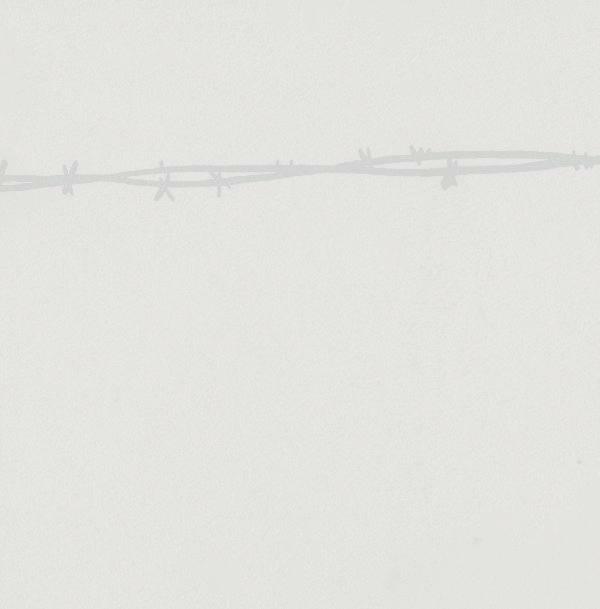 On the following day we were ordered by the Gestapo to cover the pit with earth… Our work was interrupted when trucks arrived and then we were ordered to load the victims clothes and separately their other possessions. Already in the afternoon a few times appeared a vehicle similar to an ambulance, dark grey, with doors in the back. After he doors were opened, corpses of human beings were thrown out of vehicle. They were Jews as well. Men, women, children. This grey vehicle came and go while I was there three times, with an interval of one hour from each arrival… The corpses thrown out of vehicle were connected to each other. Many were holding hands. Probably members of one family. The Gestapo men ordered us to separate the corpses. Later we had to put them in the small pit, condensing them, corpse by corpse… While I was there, 3 layers of corpses were led on each other, and still there was one vehicle which remained to be unloaded. The corpses who were brought by the grey vehicle were probably gassed by gas as the vehicle and the corpses smelled of gas. I remember that during the murder of the Jews in the glade, one Gestapo man snatched a little child from his mother's hands and smashed his head on the auto. When the mother screamed, he threw on her the smashed head of the little child, then he took handful of lime and stuffed it into the mother's mouth. I also saw how a Gestapo man grabbed a young Jewish girl, tore her dress and underwear, hung her with her hands on a tree, and then with a Finn knife he cut her breast to pieces. This way the Jewish girl was dying on the tree. I did not know any of those Gestapo men.